The Full Brexit: Alliance of Labour Patriots, Spiked-on-Line, Immigration Obsessives, Left Sovereigntists and other Oddballs. Full British Brexit’. 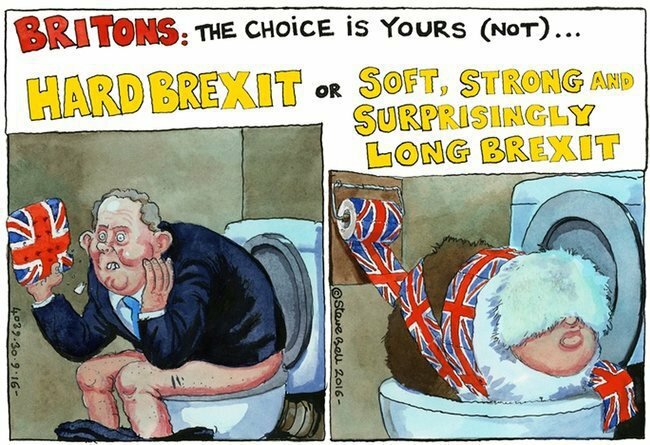 Not ‘bog roll Brexit’! What does a leader of Trade Unionists Against the EU, concerned about ‘easy divorce’ and immigration, somebody who defends “Flag, faith and family” and who (2011), wanted Labour to be an organisation, “that involves those people who support the EDL within our party”, a prominent contributor for the left-wing magazine Jacobin, a founder of a new Social Democratic Party, the former editor of Prospect magazine, a pamphleteer for Labour Leave, a Harvard Professor, Murdoch’s Man in Brussels, a well-known figure in the British Communist Party (CPB), and a small battalion of former members of the Revolutionary Communist Party and contributors to Spiked-on-Line, have in common? 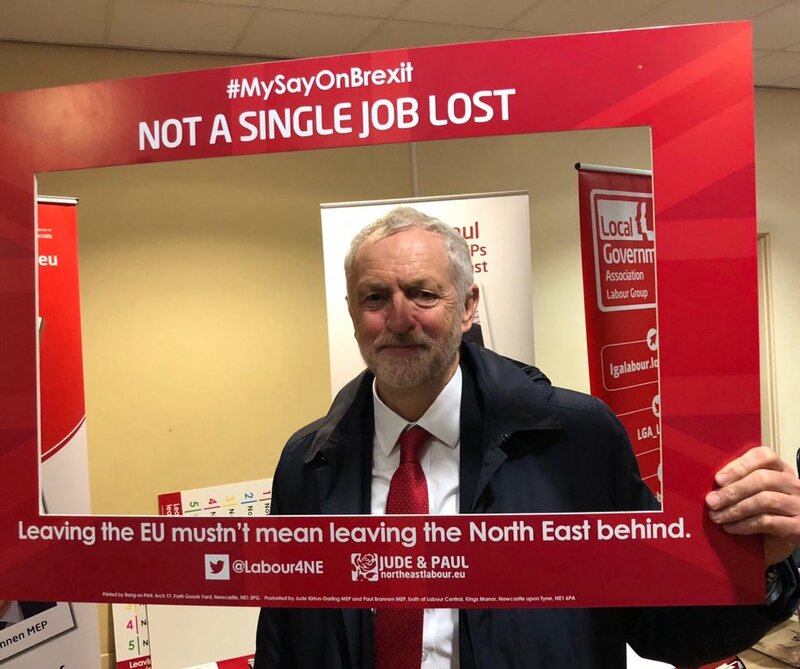 via The Full Brexit: Alliance of Labour Patriots, Spiked-on-Line, Immigration Obsessives, Left Sovereigntists and other Oddballs. What next, Jeremy? 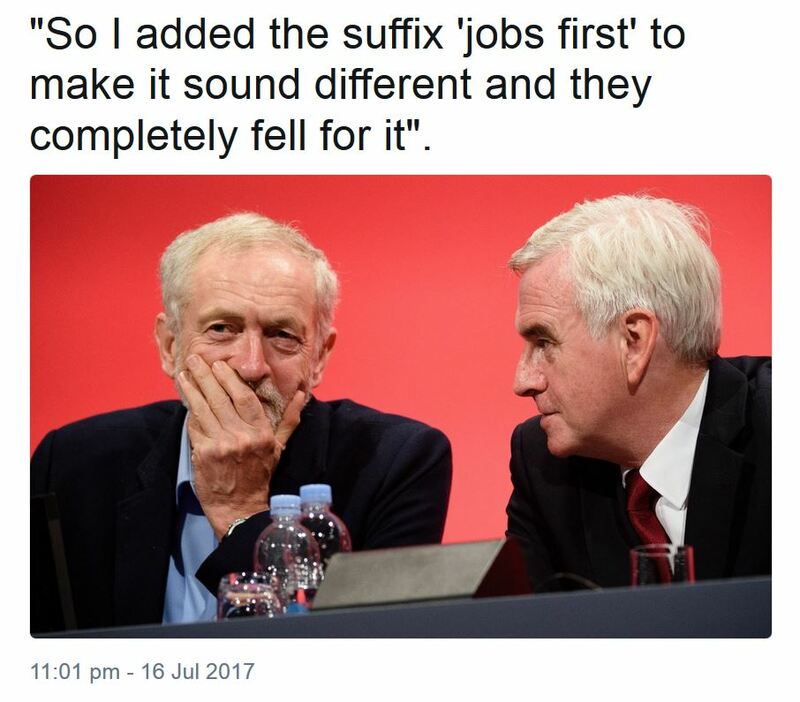 Your Jobs First BREXIT/LEXIT is a sick joke. 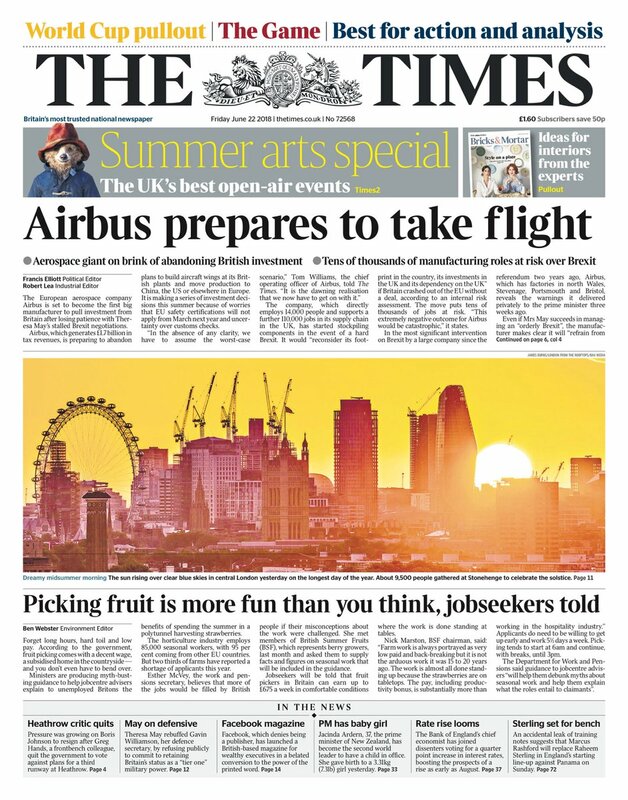 Will John McDonnell shortly announce plans to nationalise Airbus and any other company following their example? Will you shamelessly attack them for putting profit before country when you eagerly put party and your narrow ideology before country? Your plans to nationalise and re-nationalise sectors of the economy, enthusiastically supported by the unthinking members of your Cult, amount to no more than re-arranging the furniture whilst the economy burns down around your ears. 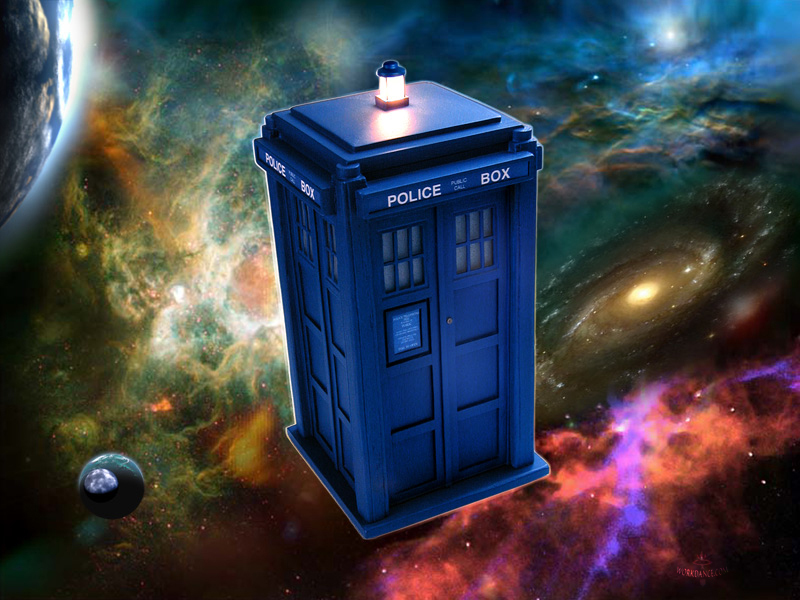 Still, your job and pension income are safe. Your current pension income amounts to £35,000 per year, putting you in the top 40%, measured by income. Should you ever retire from Parliament, your pension income will be around £85,000 per year, putting you in the top 5%, measured by income. Not bad for doing nothing at all productive for most of your adult life? News that Jaguar Land Rover is shifting Discovery production to Slovakia seemed to catch a lot of people on the hop this week yet it had been planned for some time and widely expected. This particular move is not Brexit related (yet). There will be fears over hundreds of agency staff job losses at Solihull (given the government’s lack of a German style part-time wage subsidy scheme to keep workers in place during such disruptions). But the move also offers the prospect of JLR potentially investing up to £500m in building new models at Solihull, hopefully including electric and hybrid cars. This will hopefully include the new Range Rover and Range Rover Sport from 2020. “Brummies have been reacting to the news Jaguar Land Rover is to shift all production of its Discovery model to Slovakia from Birmingham. It is a move likely to affect hundreds of workers. The company said the switch will take place early next year and that agency workers are most at risk from the decision. Two years ago the firm, owned by India’s Tata Motors, insisted that its Slovakia plant would “complement” its UK operations, with the Discovery built in both locations. But on Monday 11th June Jaguar Land Rover said that all production of the Discovery would be done in the Eastern European nation. “The decision to move the Land Rover Discovery to Slovakia and the potential losses of some agency employed staff in the UK is a tough one but forms part of our long-term manufacturing strategy as we transform our business globally,” the group added. The announcement comes weeks after profits at Jaguar Land Rover were almost cut in half in the fourth quarter as the car-maker was stung by a combination of falling diesel sales, Brexit uncertainty and vehicle taxation. The group saw pre-tax profit slump to £364 million in the three months to March 31, down from £676 million in the same period last year. In the UK, the company said it was “impacted by consumer uncertainty surrounding diesel models, Brexit and vehicle taxation”. Alongside the Slovakia announcement, Jaguar said it will invest millions in a revamp of Solihull, where the new Range Rover and Range Rover Sport models will be built. In addition the next Range Rover Evoque will be built at a site in Halewood. “This significant investment and technology upgrade in Solihull in order to accommodate our next-generation of flagship Land Rover models, and the refit of our Halewood plant for the next Evoque, is proof that we remain committed both to the UK and to transformation and growth,” the group said.